On September 26, 2018, as part of the City’s regular budget process, a few changes to the City’s parking fees and hours of enforcement were approved. Parking in the Entertainment District from Ocean Drive to Pennsylvania Avenue and from 5th to 15th Streets will be enforced 24 hours. Currently, it is enforced between the hours of 9 a.m. and 3 a.m. The municipal parking lot located at 46th Street and Collins Avenue (Lot P71) will be enforced 24 hours daily with a prepaid flat parking rate of $20.00 for non-residents and $6.00 flat rate for registered Miami Beach residents. The flat rate parking fee can be paid using ParkMobile (mobile phone payment application) or at the meter pay station. Registered residents will continue to have the option of paying $1.00 per hour only when using the metered pay station. Courtesy notices regarding these parking fees and enforcement hour changes will be placed on vehicles starting today in the Entertainment District and at the 46th Street parking lot. 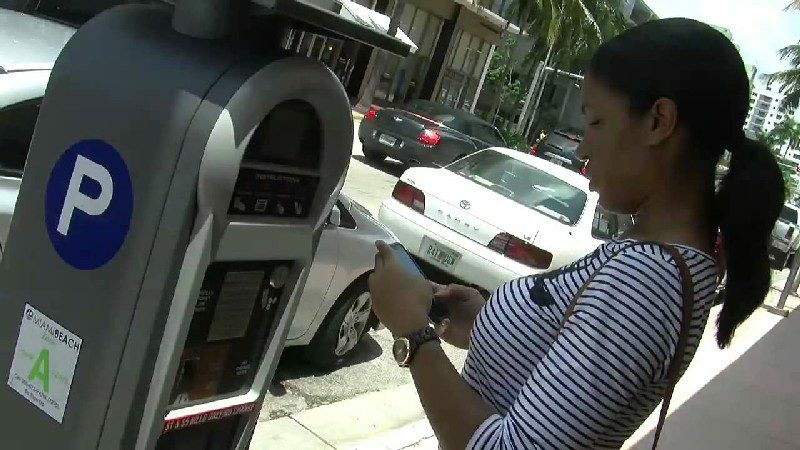 Registered Miami Beach residents continue enjoying the discounted hourly parking rate of $1.00 per hour at on-street meters and off-street meters using the City’s parking application for payment (ParkMobile) or by paying at the pay station. Residents may do so by entering the registered license plate in the pay station or via ParkMobile for payment and residents will instantly receive the discounted rate with waived convenience fees. If you are not already registered for the City’s resident parking discount, visit the “Residents Only” page on www.miamibeachparking.com for more information on how to register. If you need additional assistance please contact us at 305-673-PARK (7275). Wow, this is impossible. Looks like the Miami Beach does not welcome our tourists or any shoppers. Keep on increasing and soon all the locals and tourists will stay away. Already now the destination is miami Brickell, downtown ,midtown and shopping Malls – and there parking is free!